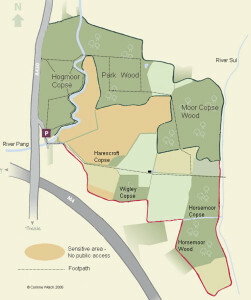 Moor Copse is more than just a woodland it’s a series of diverse woodland parcels and interconnected with adjacent Coronation meadows and bisected by the river Pang fringed with swamp vegetation forming a diversity hotspot just down the road from Reading town centre! Not surprising then Dr M recorded the largest number of species of the whole week during this day, 126 in total including woodland, swamp, wetland and meadow species. This beautiful and tranquil site has a literary claim to fame too, being the inspiration for Kenneth Graham’s children’s classic “the wind in the willows”. See also below for more on this aspect. Dr M’s student’s task was to sample the different woodlands using NVC methods.The day was close and humid and woodland soils wet and teeming with biting insects! Dr M’s students quickly found that recording woodland quadrats whilst simultaneously being attacked from all sides by hoards and swarms of mosquitoes is eXtreme botany for sure! Indeed, the term “quadrat from hell” seems not an inappropriate term for such work! The diversity of woodland vegetation at Moor Copse is more than partly derived from the soils which vary from area to area and we can assign woodland types on the basis of soil type and hydrology. Hogmoor Copse: The woodland type found at the southern end, near the car park, can be broadly referred to as Ash-Field Maple woods in the vicinity of the river Pang whose calcareous waters regularly overtop and flood the adjacent, lower lying land. Park Wood: Here, there are areas, slightly elevated and distant from the river, and which escape inundation where the soils are leached and base-poor. Here the woodland vegetation contrasts from the previous type and come under the group of Oak-Bracken-Bramble woods. 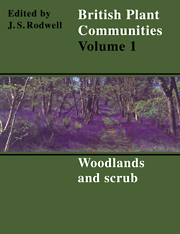 Moor Copse: There are localised areas where drainage impedance has resulted in accumulation of dark, wet and organic soils bearing Alder woodland. Dr M says: There’s more to Kenneth Graham’s The Wind in the Willows than meets the eye! A classic of children’s literature and first pubished in 1908.The original was not illustrated but subsequently many versions have been produced with illustrations by Ernest Shepherd and Arthur Rackham amongst many others. 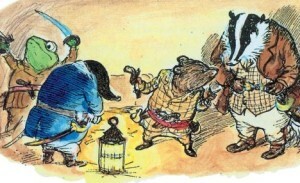 There have been many TV and film version of the timeless classic “The Wind in the Willows”, not surprising given the utterly enchanting story line, and wonderfully crafted characters of Mole, Ratty, Badger, the nasty Stoats and Weasels of the wild wood and of course the incorrigible Mr Toad! 1983 British stop motion animated film for Thames TV and aired on the ITV network. Voices included Peter Sallis (Mole), Ian Carmichael (Ratty), Michael Hordern (Badger) and David Jason (Toad). You can view a short celebration of this lovely version here. 1995 cartoon film “The Willows in Winter” with the voices of Alan Bennett (Mole), Michael Palin (Ratty), Michael Gambon (Badger) and Rik Mayall (Toad). You can view all of the film here. A version with real actors is the 1996 screenplay by Terry Jones (who also plays Toad), with Eric Idle (Ratty), Steve Coogan (Mole), Nicol Williamson (Badger) and Antony Sher as a memorably nasty chief weasel, you can view this here. But it appears there is a further and rather dark human story behind the storybook characters created by Graham. Recently the book has been interpreted as written by Graham as a substitute for being a parent and with the character of Toad based on his own rather obnoxious and troubled son. If you feel up to having your childhood favourite placed in the psychiatrists chair, check here.